WiFi system and Bluetooth allow you to download the videos and games into your VR headset. 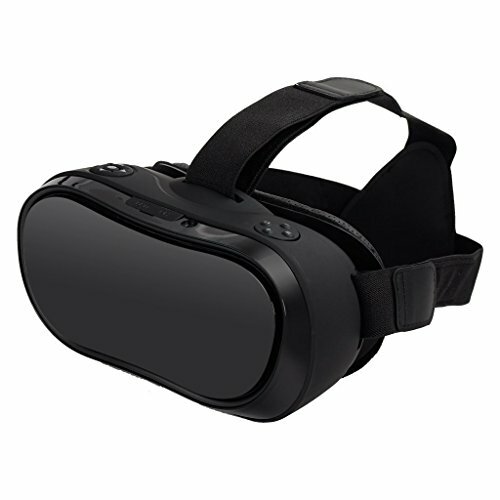 Then just enjoy them at any where and any time.Built-in movies and game platform,immersive 3D experience.You can install a TF card for this VR headset or use a HDMI cable to connect it to your computers or devices, to enjoy movies in a way you like. Video parameters: MPEG2, H.264, H.265, AVI, MP4, RM, RMVB, etc. Come with Games & Apps : The HDMI port can connect the VR with PS4, Xbox1 and PC.Furthermore,WiFi and Bluetooth allow you to download many apps such as NIBIRU system 3.0, 2D/3D Apps, Google play, Youtube, Third party Apps and so on, thus, you can enjoy watching videos and play games in the real virtual world with this VR headset. Gyroscope : The VR headset is equipped with gyroscope,acceleration,thus, it has a high sensitivity, you can control it by turning around your head. Moreover, this VR headset has an energy saving mode, the screen will turn off after 30 seconds of inactivity. If you have any questions about this product by YFang, contact us by completing and submitting the form below. If you are looking for a specif part number, please include it with your message.